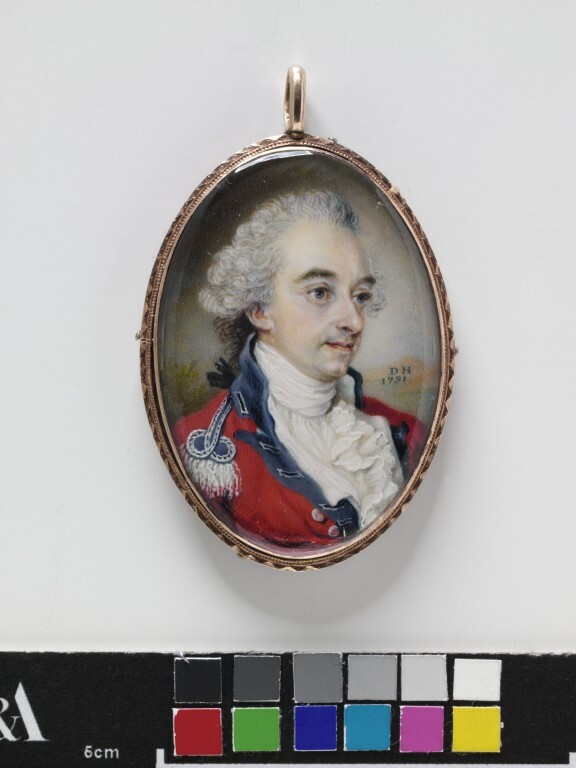 Oval portrait miniature on ivory of Lieutenant Thomas Harriott, the artist's second husband. 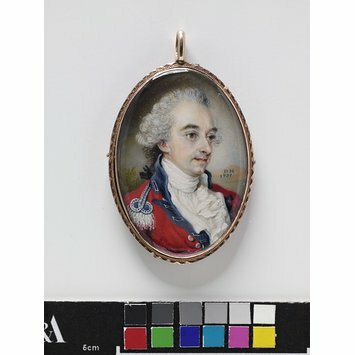 The sitter is wearing his military uniform and is portrayed quarter-length, in half profile. Monogrammed and dated by the artist. Portrait miniature of Lieutenant Thomas Harriott, the artist's second husband, by Diana Hill, (née Dietz). British School, 1791.